Following pregnancy, some women feel self-conscious about stretch marks, sagging skin, and pockets of unwanted fat. To help you reclaim your pre-baby body, Dr. Roger J. Oldham can perform a mommy makeover at his Bethesda, MD practice. Patients can combine multiple cosmetic procedures into a single, comprehensive treatment that tones and reshapes your body. To make treatment as affordable as possible, we accept CareCredit® financing. Because each woman is unique, no two mommy makeovers are the same. The treatment can combine any number of cosmetic procedures, including liposuction, breast augmentation or reduction, and skin treatments. During an initial consultation with Dr. Oldham, he can design a plan that will effectively meet your needs and budget. 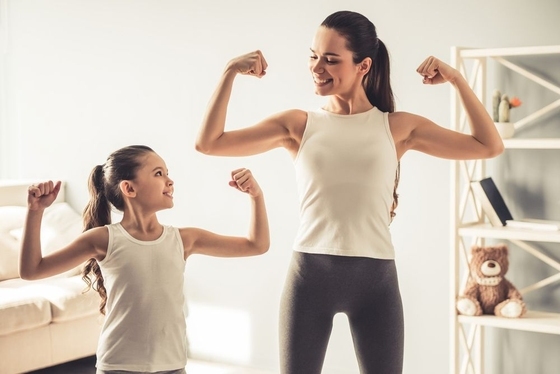 A mommy makeover is typically recommended to mothers who are hoping to reclaim their pre-pregnancy bodies and who are not planning on having more children. While cosmetic surgery will not affect your health or the health of your baby should you become pregnant again, it may negate the results of your treatment. A significant portion of our patients wait until their children are older to pursue a mommy makeover. If you are unsure about whether you will have more children, we recommend waiting, as many women do. In fact, many individuals who undergo a mommy makeover procedure are not new moms. A significant portion of our patients wait until their children are older to pursue a mommy makeover. Candidacy for this treatment is not restricted to either women who have given birth naturally or those who have had a C-section. Patients should keep in mind, though, that a mommy makeover is not a weight loss treatment. Instead, it helps eliminate stubborn pockets of fat that have not responded to diet and exercise. Reclaiming confidence in your body can go a long way toward reclaiming confidence in your everyday life, whether at home, with friends, or at work. Liposuction: Dr. Oldham can remove fat deposits in the thighs, abdomen, upper arms, buttocks with liposuction to gently contour the body. Tummy Tuck: During this procedure, the doctor tightens abdominal muscles, removes fat tissue, and trims excess skin for a slimmer, sleeker abdomen. Breast Procedures: Because pregnancy has such a dramatic effect on the breasts, augmentations, lifts, and reductions are especially popular options for mommy makeover treatments. Body Contouring: Pregnancy can often leave mothers with sagging skin in places where it used to be firm. Body contouring procedures such as arm lifts and thigh lifts can remove excess skin, tissues, and fat for a more defined silhouette. Dr. Oldham can recommend which procedures are most appropriate to your aesthetic goals during an initial consultation. Mommy makeovers offer two significant benefits: cost-effectiveness and convenience. Rather than tackling individual aesthetic concerns on a case-by-case basis, women can complete multiple procedures through a single treatment plan. This not only saves on the total cost, but also allows you the opportunity to undergo a single surgery instead of multiple surgeries. Furthermore, women who undergo a mommy makeover procedure can enjoy more balanced and comprehensive results. Mommy makeovers offer mother an opportunity to comprehensively refine their figure. If you would like to learn more about a mommy makeover, schedule a visit with Dr. Oldham. You can call our office at (301) 530-6100 or contact us online.